Spring has well and truly sprung here in the UK. Leaves are turning green, Daffodils and Forget Me Nots are already in bloom and the sun has been making a more regular appearance in the sky. Even if you are still being plagued with rain and snow, you know it won’t be long until the last snow drops melt away and you can look forward to the arrival of warmer weather. Spring is also the start of wedding season and the timing couldn’t be better as the turn in the weather also marks new life and new beginnings. Nature will soon be awash with vibrant flowers and is the inspiration behind today’s post. 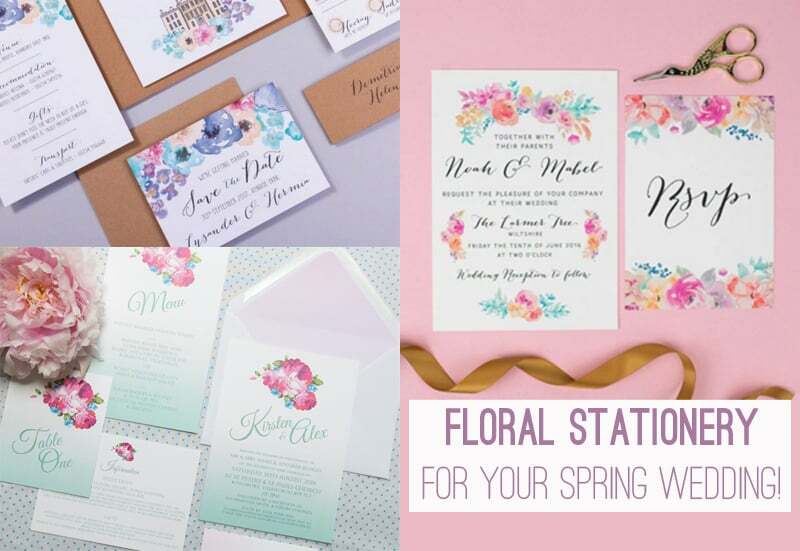 Floral stationery has always been a favourite of mine, I am a huge lover of the nature and I love the thought of bringing the outdoors in at my wedding. So today I have rounded up some of my favourite collections, sure to get spring in full swing!